As most of the world is celebrating Easter and the resurrection of their saviour, may we cast our minds to other saviours less well known but no less important this weekend. Deities that have also been resurrected either in a literal or symbolic sense, include the Mesopotamian goddess Inanna and her counterpart Ishtar who was resurrected and ascended from the underworld. 7 Steps To Spot A Fake Psychic. 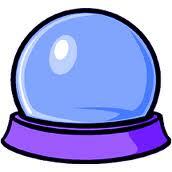 Any psychics listed here means watch out for that “psychic” It may even be a psychic company.